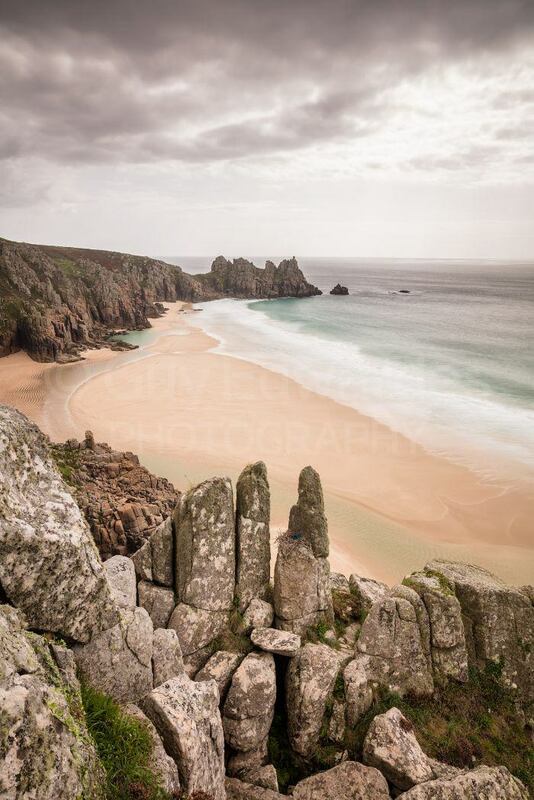 This year's Cornwall landscape photography workshop was pretty successful despite a very wet start. Thankfully in Cornwall there are plenty of subjects that suit wet conditions, so we began with waterfalls and followed up with light painting tin mines and dolmen at dusk. The low clouds on the hilltop made for some very atmospheric images. Unfortunately I wasn't able to take any images myself as I was the one doing the light painting! Day one ended at close to midnight. There were some decent waves during our three days in Cornwall, so we made the best use of these at locations I knew would benefit most from water movement and long exposures. As usual on this workshop, our itinerary was dictated by the tides. 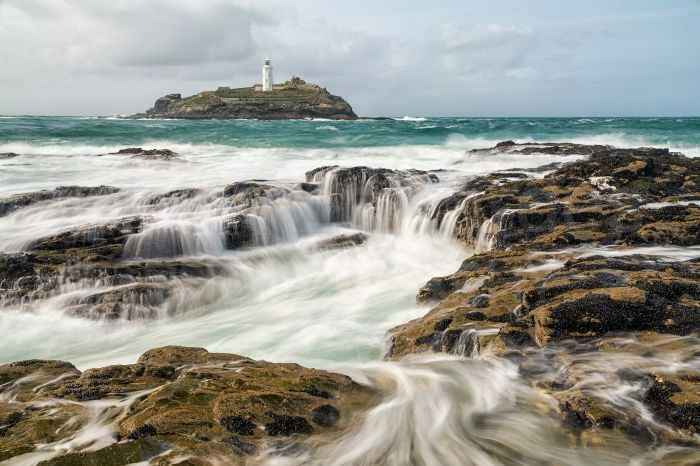 I made sure we were in the best spots to make use of both high and low water, and there were a few locations where there is only a thirty minute window to get the shot, as with Godrevy Lighthouse above. 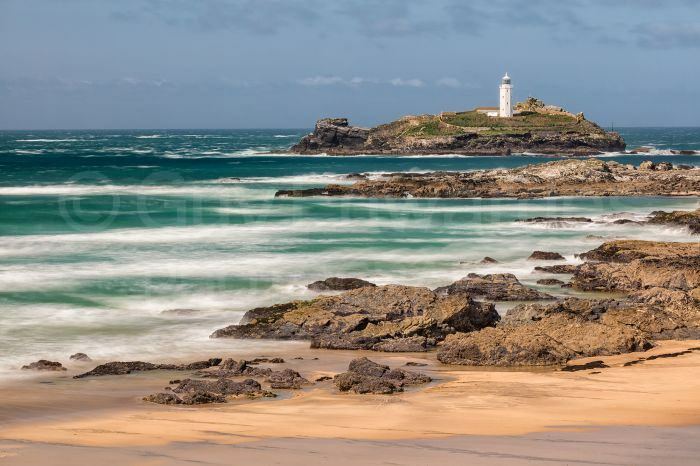 At high tide I find that Godrevy tends to work best from further away using a telephoto lens. Here I used a 10-stop ND filter and polariser to smooth out the waves and therefore simplify the composition, as seen above. On the second day of the workshop the lighting conditions were much better and we were able to shoot some wider coastal vistas. I was attracted to the large lichen-covered boulders teetering on the edge of the cliff here. The wind was very strong, so a heavy and sturdy tripod was essential for sharp images. 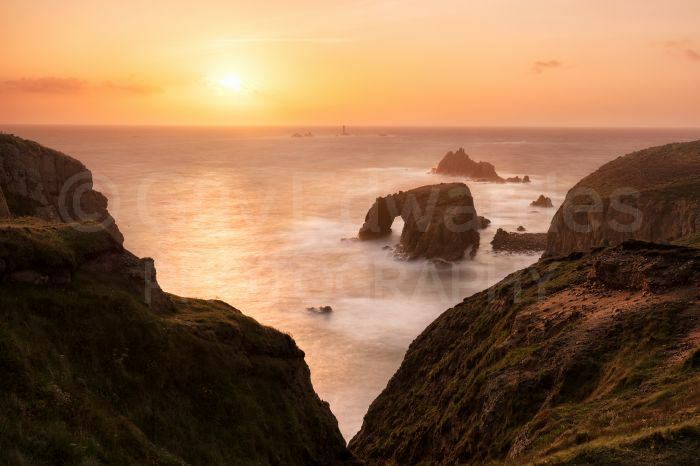 We waitied at Land's End for sunset in the hope that some clouds might develop ... they did but only on the horizon, so the sun set prematurely (as it so often seems to on the coast!). This shot is comprised of seven exposures to capture the full dynamic range of the scene. This is one of the techniques (along with the post-processing that goes with it) that I teach on all my landscape workshops. 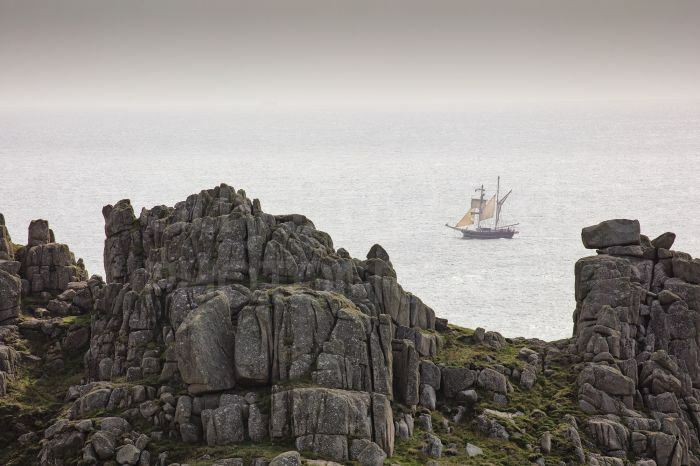 On the final day we headed to Porthcurno and were just in time to catch this scooner as it passed Logan Rock. This was taken handheld using the long end of my 100-400mm lens. On the last day low tide was at 11.30, so thankfully there was some high cloud to soften what would have been very harsh sunlight. 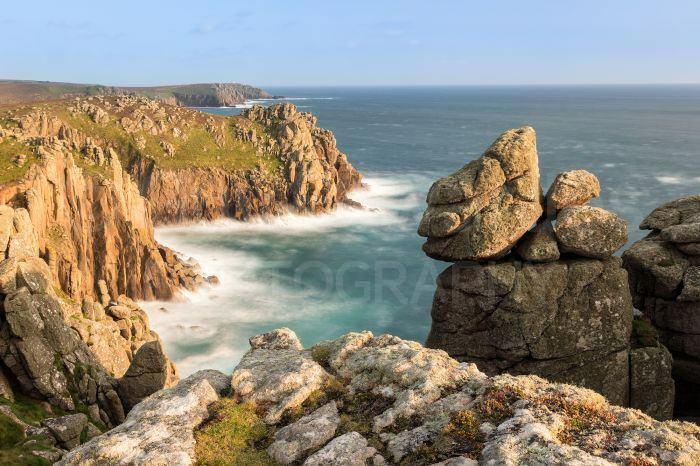 This composition requires shooting from a fairly precarious position on the cliff edge, so it's not for everyone! The workshop concluded with a sunset at Porth Nanven. It didn't look like it was going to develop into much until the very last minute, but then the sun broke through and the colours began to appear. The sea was still rough and there was constant spray coating our lenses, meaning that we had to clean them after each exposure and often during the longer exposures! Next year's Cornwall workshop is already fully booked but if you'd be interested in joining me in 2019 please email to register your interest.